The Paper Players have a wonderful CAS challenge this week - just what I needed to get a jump start on those baby cards for my daughter! Pool Party did not lead me astray like Marina Mist did last time when I ended up with a Valentine. I should have plenty of time to make a few more in the next few days as we are in the midst of an Arctic Blast here in upstate NY. I don't plan to venture outside until the temperature hits at least 10 degrees! 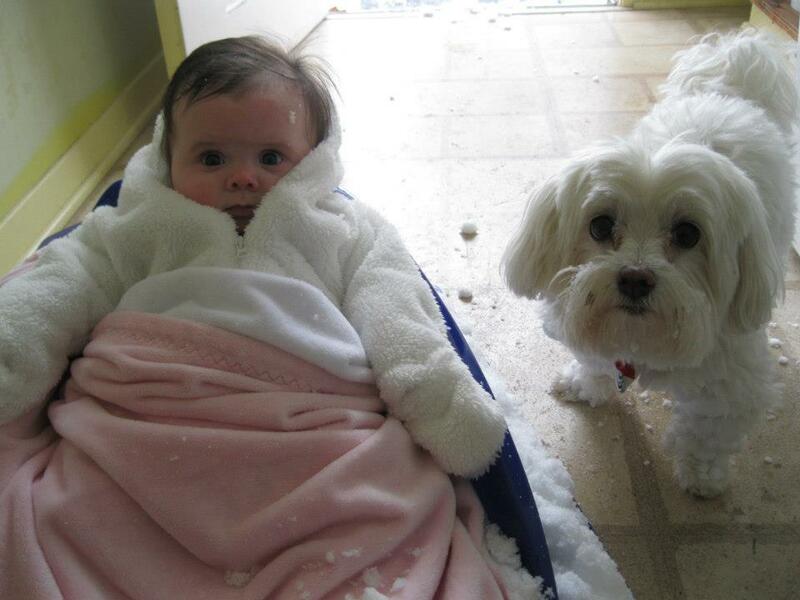 Doesn't look like Emma and her sidekick Baxter are too thrilled about this cold weather either! But on a scale of 1- 10 Rita's Sketch is a 12! So versatile - hope you play along at Freshly Made Sketches this week! 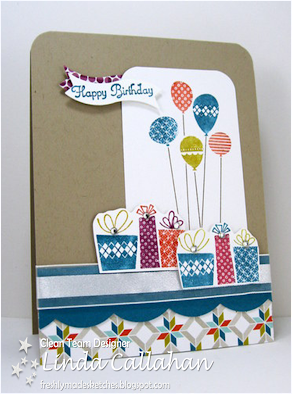 You are getting a sneak peek of a brand new - not yet released - Stampin' Up! set called Sketched Birthday! It was our parting gift from Leadership. The invite sentiment teams up perfectly with tickets from That's the Ticket - and the sentiment also fits perfectly in a framelit from Apothecary Arts. Speaking of perfect - the weather in Orlando was absolutely perfect! Just before takeoff from Orlando, the Captain gave us a weather report for the East Coast that ended with "Tell me again why y'all are leaving this gorgeous weather for upstate NY? It is drizzling, dismal and downright cold there!" Ahhhhh I thought.........it's home.........perfect! 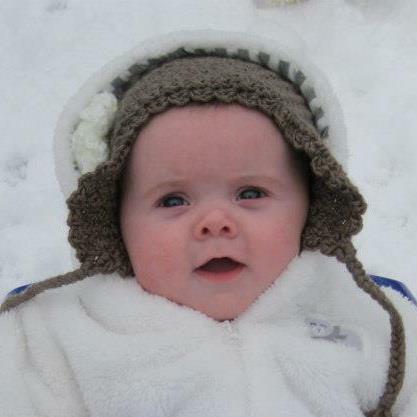 Our little polar bear seems to be enjoying winter so far! Margaret's sketch at PPA this week is rather perfect itself! Stampin' Up! 's Leadership conference in Orlando last week was wonderful! Such energy, enthusiam, and creativity can hardly be contained in one venue! And oh those Prize Patrols! These new Designer Brads and a sentiment from Oh, Hello make a sweet breezy Valentine! It was wonderful being able to say "Oh, hello" to my stamping friends in person. 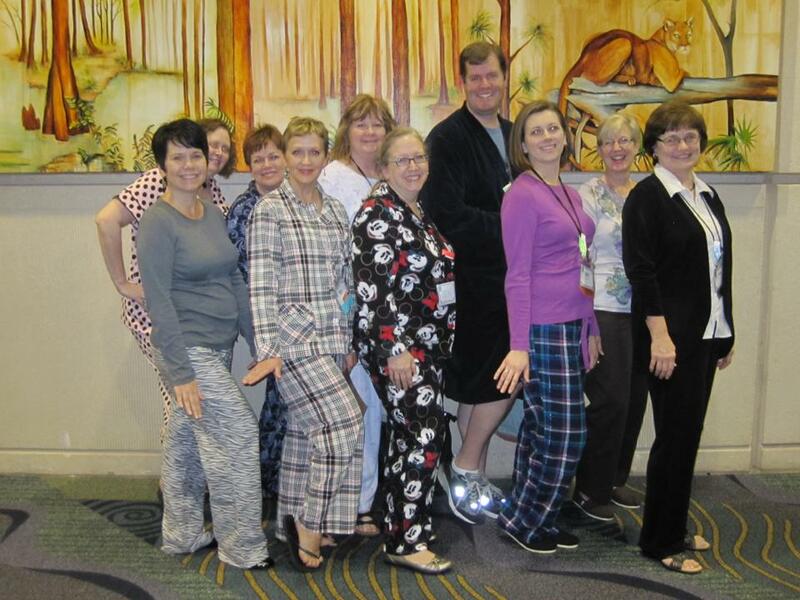 liz hughes, kris kilcoyne, ann schach, mary fish, ginger toivonen, pam morris, brian king, kylie nicolosi, dawn tidd and me! 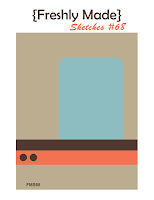 Linda Suarez' great sketch at Freshly Made Sketches this week should encourage you to play along! I am off to Stampin' Up's leadership gathering in Florida! Stampin' Up! is celebrating its 25th anniversary this year and we have been told there are lots of surprises in store! I am looking forward to seeing my stamping friends again. Meeting up can be challenging when you are in a large convention center and there are over 1000 demonstrators around. Texting and voice mails are the best way to communicate so the first thing our group did two years ago was swap cell phone numbers. About half way through the first day I was feeling a little left out when no one had contacted me about meeting up between classes or at lunch - and no one was answering my texts. I wandered the dining room for a while at lunch until I finally found my group. They were all worried about me since I didn't answer any of their messages. I pulled out my phone and showed them that no one had contacted me. And then my phone rang - it was my son. "Mom", he said. "I have all sorts of messages from ladies inviting me to lunch or wanting to meet me later today after something called Make 'n Takes. You know anything about this?" Yep you know what I did! Our numbers are similar and I gave his to all of my new stamping friends instead of mine! One gal actually talked to him and said he was so polite and was very sorry but he couldn't meet her for lunch. She thought she had dialed the wrong number - until she got him again. Oh that Jen Mitchell has a wonderful sketch for us this week at FMS! Oh the Pals are hopping into the New Year and sharing some delightful creations made from items available in Stampin' Up's new spring catalog and Sale-a-bration! 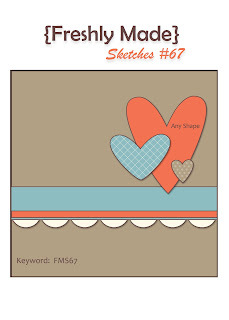 Sycamore Street Designer Series Paper, Ribbon and Buttons make a lively Valentine card. The stamp sets Hearts a Flutter and Ciao Baby coordinate perfectly with matching framelits and mini punches. Such fun to play with and put together! There's a lot to see so I won't keep you long! Your next stop along the way is Lori Martin's blog - I am sure she has something wonderful to share with you! The line up is posted below - don't want you to miss anyone! Thanks to Fab Friday for the sketch and the Paper Players for hosting a "Love is in the Air" challenge! And my metalsmith friend? Oh she is off to Iceland next to study embroidery - and then to an island to study lace. I can't wait to see what that inspires her to create! Nothing like starting the year off with a sweet Valentine! 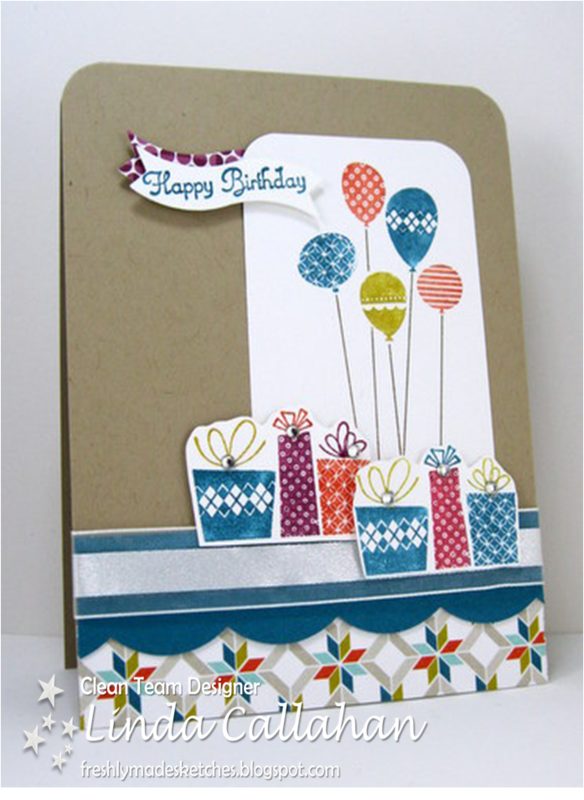 This card is a mix of classic old and fresh new Stampin Up! products! I have a wonderful friend who started her own interior design business called thinkfresh interiors. She specializes in using what you already have in a fresh new way. She may change the color pallet or add few new pieces to the decor but often she simply rehangs artwork or repurposes furniture. It is amazing what she can design by just thinking fresh. I am not one for New Year's Resolutions but I have decided that "thinkfresh" is what I plan to do in 2013! Wishing you all a wonderful Fresh New Year! 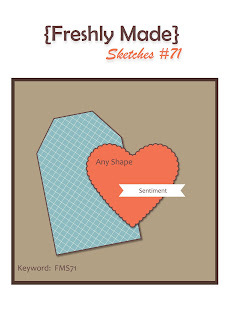 Hope you are inspired by Jen's terrific sketch this week at Freshly Made Sketches! Still AddINKtive is featuring cards made using Hearts A Flutter so I have linked this card to their site.